It’s common for some people to experience ear pain during air travel, with the pain at it’s worst when it descends to land. Even though the pain usually goes away after landing, the pain can become worse as the aircraft when it lands, making it important to avoid airplane ear if you can. In addition to experiencing pain, it’s not uncommon for an individual to experience ringing in the ears, dizziness, blocked ears and have problems hearing. The pain that is experienced is caused by the unequal pressures that develop within and outside the ear as the plane descends to land. When this occurs the air pressure inside your ears differs from the air pressure outside your ear, and this stretches the eardrum. Normally the pressure inside the inner ear and the air pressure outside the ear are equal. The pressure does not vary enough to cause you any trouble. 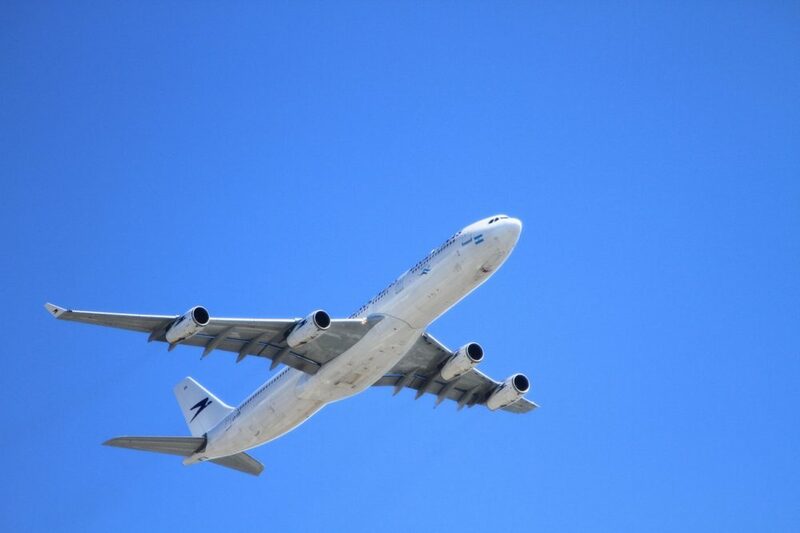 When a plane is descending is when the air pressure changes the quickest. This is because the air pressure is at its highest when you are near the ground, and this lessens as the plane goes higher. Unfortunately, planes move rapidly, so there isn’t enough time for the pressure to equalize during landing. 1. Stay hydrated by drinking lots of fluids. 2. Take Afrin nose spray (oxymetazoline .1/2 %) an hour before the plane takes off. 3. Take a decongestant the day before air travel and an hour before the plane takes off. Decongestants are drying and are not great to take routinely, so only take when you have a cold. 4. Use saline nose spray before and during the flight. Use as directed. 5. Avoid sleeping when the plane is ascending or descending. 6. Swallow, yawn, or chew gum during take off and when the plane is landing to help keep the eustachian tube open. 7. Invest in a pair of air pressure regulating ear plugs, these plugs are specially designed to equalize pressure. While it’s unlikely that the pressure will cause a perforated eardrum, if you are experiencing severe ear pain while flying or if your hearing does not return to normal after a flight, make an appointment with your healthcare professional.